Cruise liners are in increasingly high demand globally and Japan is no exception. Osaka has been a little late to the party, but is becoming more and more active in developing its port and attractions to meet this new demand. Turning Yumeshima into an international tourist center, the 2025 World Expo planned development of an integrated resort are major factors in this flurry of activity. The 2008 collapse of investment bank Lehman Brothers, which sparked the global financial crisis, had little impact on the cruise industry, which has continued to grow impressively. 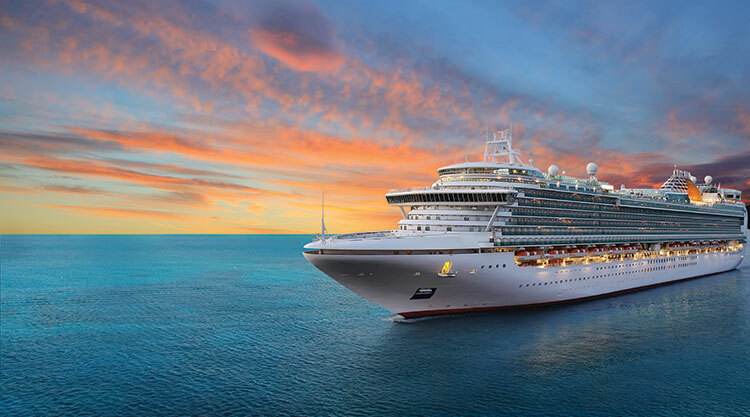 The number of people using cruise ships globally reached 27 million in 2018, creating an economic ripple effect of US$125 billion. This has been supported by the new wealthy class as well as the casual demographic. As the size of ships has increased, the unit price per customer has fallen, meaning cruises are no longer a luxury out of reach for the wider population. If we look at the domestic Japanese market, the number of port calls for large passenger ships continues to increase year-on-year. According to the Ministry of Land, Infrastructure, Transport and Tourism (MLITT), 2018 was a record year with 2,928 port calls. There were 2.44 million foreign visitors to Japan, even with a 3.3% decrease from the formerly hot China/Shanghai market. In terms of country of departure, China is still the top of the list with 961 trips. The benefits of cruise ships are obvious. They bring multiple tourists at once to a port and local consumption of dining and shopping flourishes. Further, prosperity in the region is fueled by foreign tourists visiting these destinations. Yoshikazu Terao, Planning Manager of Hanshin International Port Co., Ltd. states, “The luxury liners of today have come a long way from the days of the Titanic and the models have changed, offering more affordable trips. 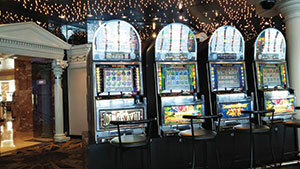 “But even with the affordable price, passengers can still enjoy onboard hotels, casinos and bars as well as shows. In other words, they are basically small-scale MICE. Osaka still has a long way to go in tapping this market. 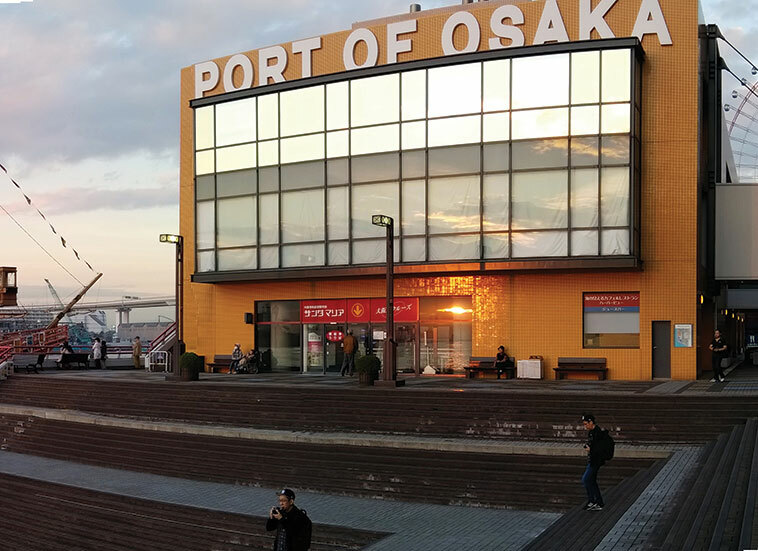 According to data from MLITT, Hakata Port (Fukuoka Prefecture) is the country’s top port of call with 279 calls in 2018, Naha Port (Okinawa Prefecture) is next with 243 calls and Nagasaki Port (Nagasaki Prefecture) follows with 220 calls. There certainly seems to be plenty of potential for an improved Osaka port. In response to this, Osaka City is going to start infrastructure development in the Osaka port area. An international terminal will be built at Yumeshima for the 2025 World Expo and the IR that local officials hope to open by 2024. There are plans for this to be the home port for cruise liners. Furthermore, the idea is to provide smooth travel to Kyushu, Shikoku, West Japan and the Kinki region such as Kyoto and Nara for inbound passengers. The concept is a facility on the north coast of Yumeshima measuring 1,350 meters long and 100 meters wide, connecting to the Yumemai Bridge on the west side. Yumeshima was selected as a candidate location most of all because of its calm waves, although the presence of an IR alongside would provide a significant added bonus. As it stands right now, “The central jetty is only 210 meters … and only one large ship can be accommodated at Tempozan Harbor,” Terao explains. “If a new port is built at Yumeshima, we will be able to simultaneously dock two ships of 220,000 tons and 360 meters long which is how the world’s largest measure up. Coincidentally, the domestic ferry companies that depart to and from Kobe and Osaka are making changes, with Orange Ferry and Sanfurawa both investing in new ships. IAG was recently granted an up-close look at luxury liner Asuka II, the pride of Japan, at Kobe Port. Of course, it was this humble reporter’s first experience on a cruise ship and the scale was beyond anything previously imagined. The ship measures 241 meters long and weighs 50,142 tons. It really is just like a floating hotel … and apparently this is only a mid-sized ship! The purpose of our boarding was to visit the “Monte Carlo” where you can enjoy a simulated experience of an offshore casino. There is a roulette table, two blackjack tables and 19 slot machines on the casino floor. Of course, this is a Japanese ship, so all casino games are just for fun. Even so, it is usual for 40 to 50 people to be enjoying this space from its opening at 18:00 each day to its closing at midnight. When will a real offshore casino be legal? This was the question that ran through my mind as I stacked my chips on the Asuka II. 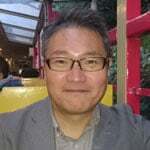 Born in Okayama, Japan in 1964, Tomo has covered horse racing, professional baseball, golf, boxing and more in his role as a sports writer. He first encountered casinos before Macau was returned to China in 1999. Last year he traveled to South Korea and Manila to cover events and scope out the local scene. He is currently studying “How to get along with casinos,” a topic he learned of from Osaka University of Commerce, on a daily basis. His annual Feng Shui Forecast for 2019 is that he will be lucky with money!